Free vector art pack with lots of cool Illustrator graphics, stock vector art, decoration images, icons, symbols, logos, clip art freebies, dingbats, digital art illustrations, design elements, scribbles, ornaments, silhouettes to create original and unique artworks in vector art format. Vector freebies download by Laakso for FrFree vector art pack with lots of cool Illustrator graphics, stock vector art, decoration images, icons, symbols, logos, clip art freebies, dingbats, digital art illustrations, design elements, scribbles, ornaments, silhouettes to create original and unique artworks in vector art format. 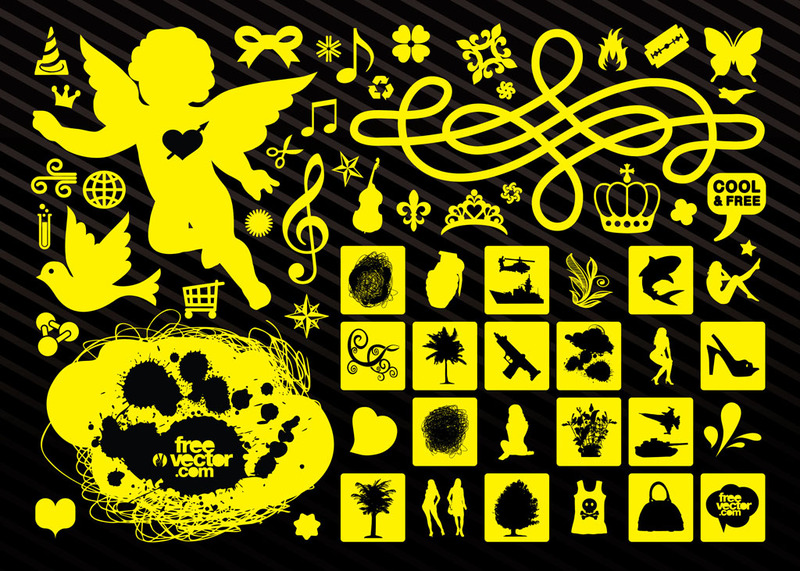 License: Creative Commons 3.0 AttributionFree vector art pack with lots of cool Illustrator graphics, stock vector art, decoration images, icons, symbols, logos, clip art freebies, dingbats, digital art illustrations, design elements, scribbles, ornaments, silhouettes to create original and unique artworks in vector art format.